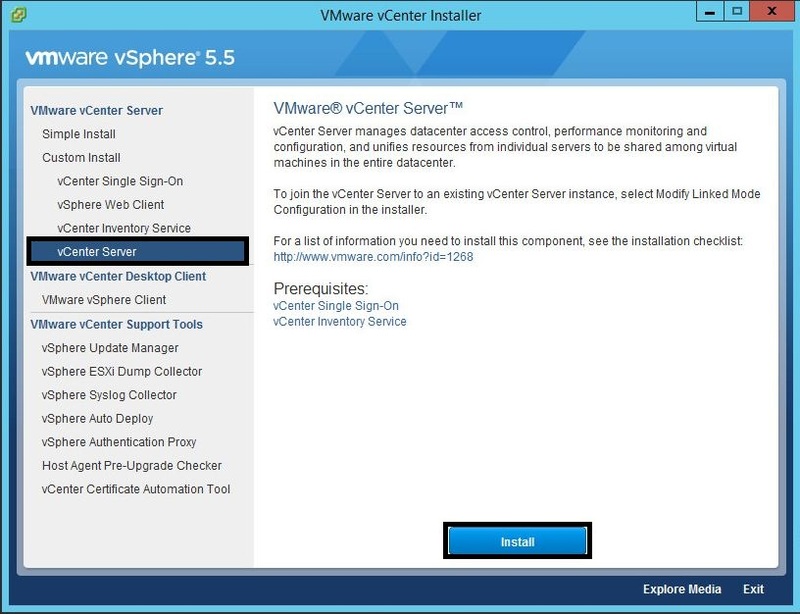 This is part 3 of the vCenter 5.1 to 5.5 Update 1c upgrade, detailing the vCenter 5.5 Installation. 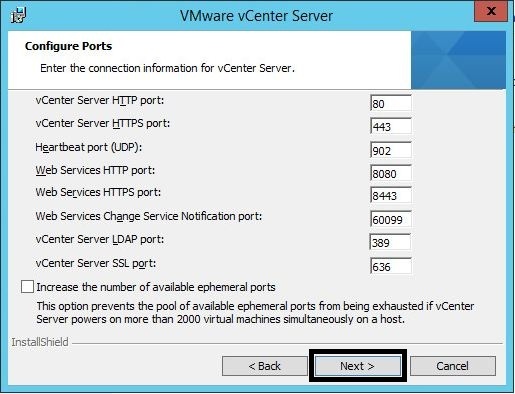 If you used custom ports in vCenter 5.1, then make sure you know what they are, so that you can configure them here. 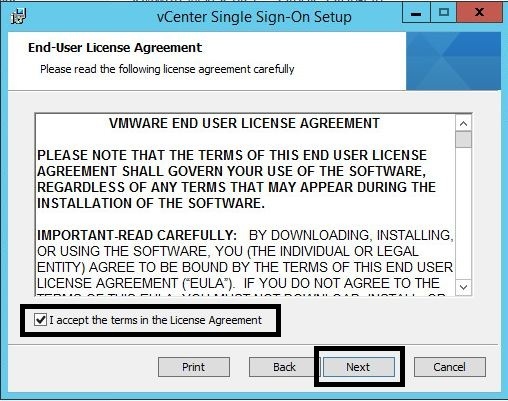 You will have to modify your firewall rules since the vCenter services are now centralised. 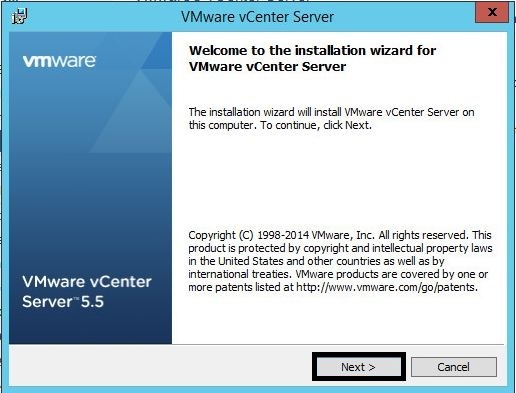 Make sure the vCenter 5.5 Update 1 ISO image has been mounted to the CDROM of the Windows Server 2012 R2 Virtual Machine. 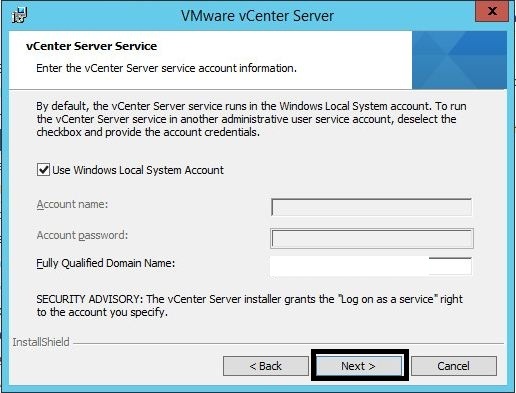 Open the console of the new vCenter VM running Windows Server 2012 R2 and login with the AD “vCenter” service account. 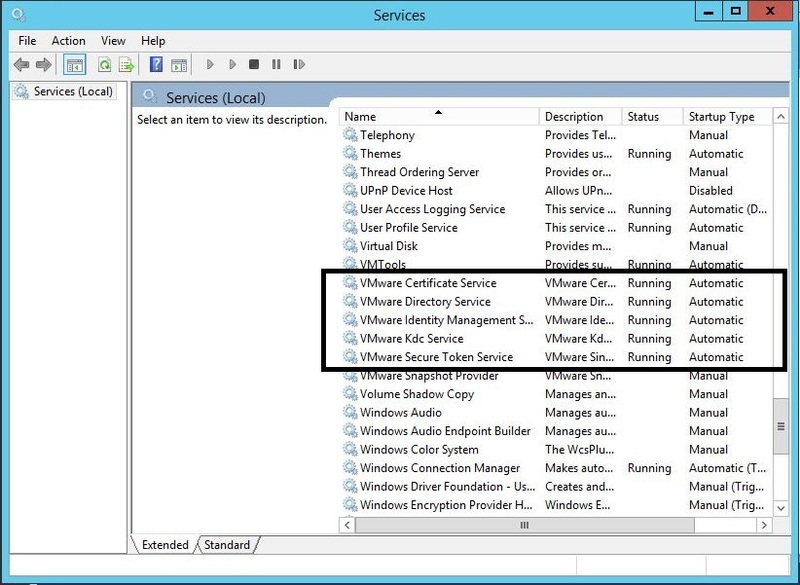 Browse to the CDROM and select the “autorun.exe” file and “Run as Administrator”. 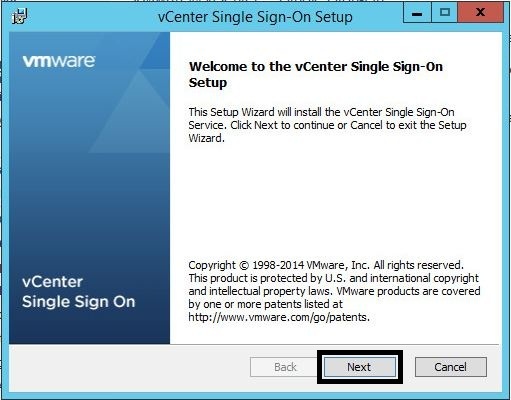 In the VMware vSphere 5.5 vCenter Installer window, select “vCenter Single Sign-On” from the “Custom Install” and press “Install”. Accept the licence agreement and select “Next”. 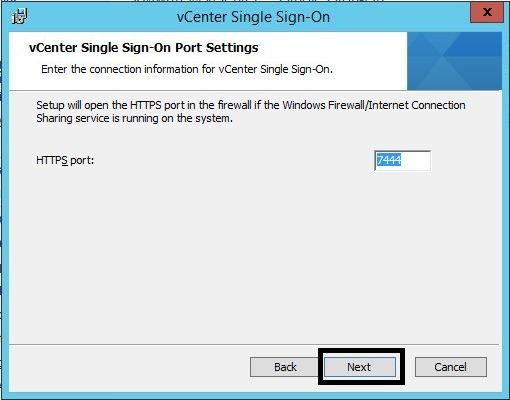 Make sure the “Host name” is displayed, “FQDN” is displayed, “IP Address” is displayed, “Machine is joined to <domain>” has a green tick and “DNS resolution is successful” has a green tick. Make sure “Add <domain> as a native Active Directory identity source” is ticked and then press “Next”. 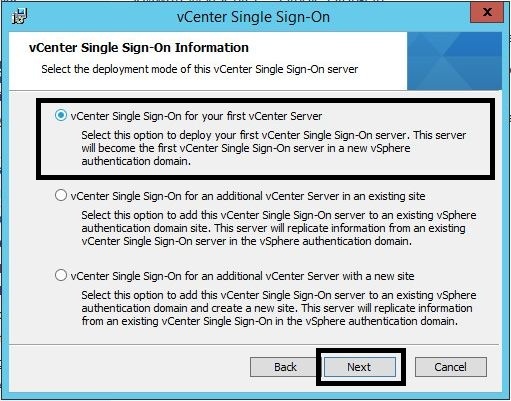 Select “vCenter Single Sign-On for your first vCenter Server” is selected and press “Next”. 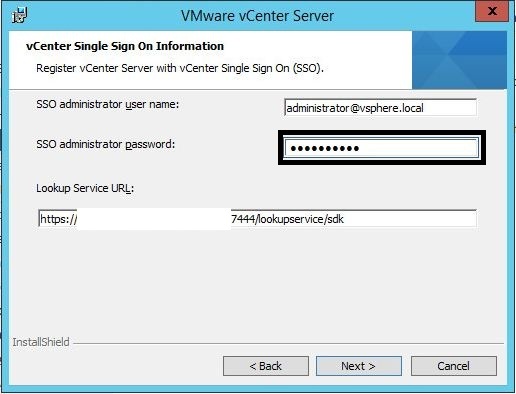 Create the password for “administrator@vsphere.local”. 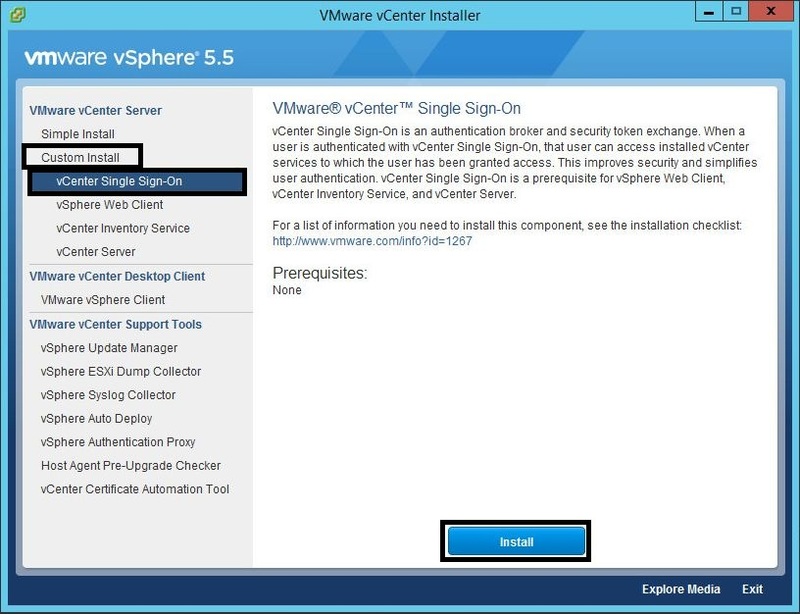 It should be complex, with upper case, lower case, numerals and one special character (recommend “!”, this is because in SSO 5.1 other special characters caused the SSO scripts to fail – not sure if this is true for 5.5). WARNING: record this password in a safe place, it is the master key to your entire vCenter infrastructure. 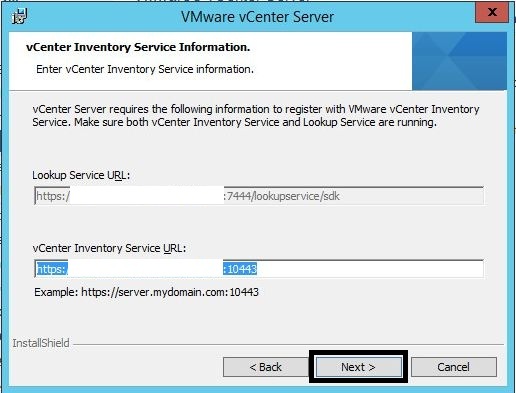 Enter the “Site name” and press “Next”. If you use custom ports, configure it here. 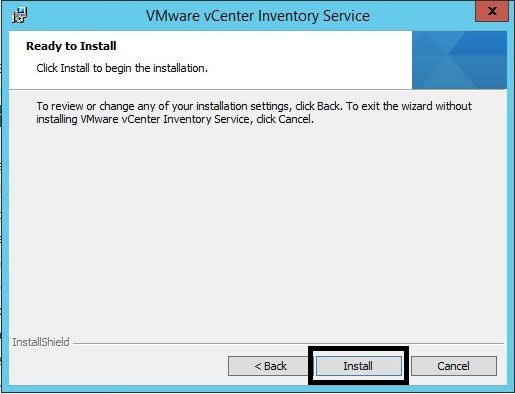 Select “Next”. 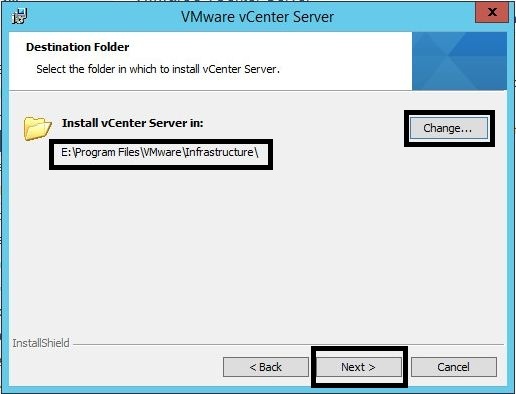 Change the “Destination folder” to E:\ and select “Next”. 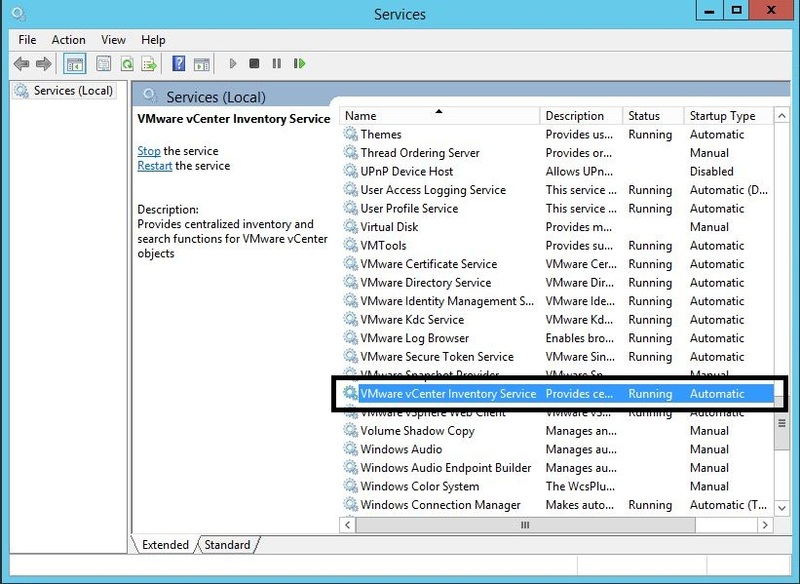 Open the Services application and verify that the VMware “Certificate”, “Directory”, “Identity Management”, “Kdc” and “Security Token” services are installed and running. 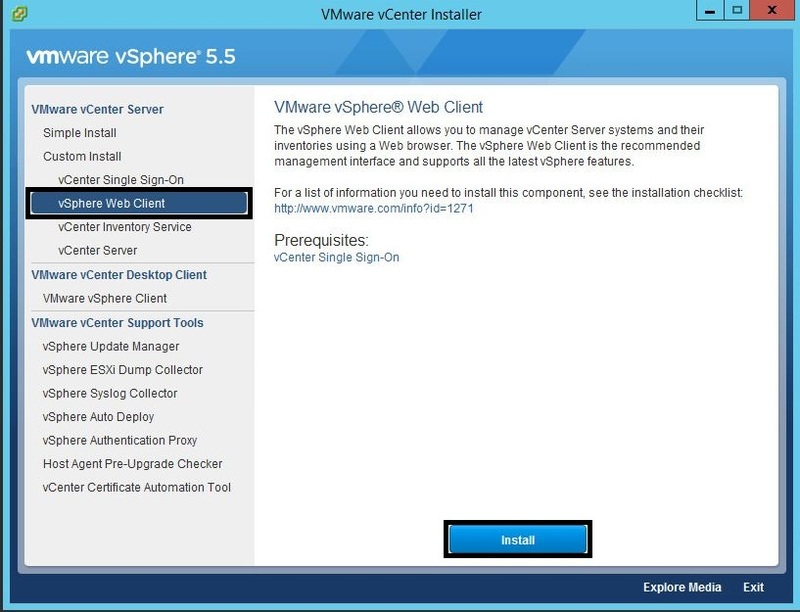 In the VMware vSphere 5.5 vCenter Installer window, select “vSphere Web Client” from the “Custom Install” and press “Install”. 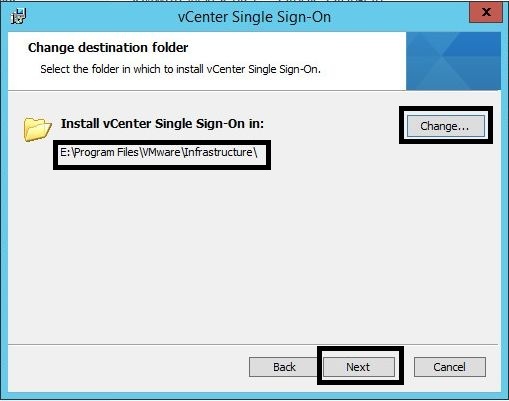 Leave the “Destination folder” as C:\ and select “Next”. If you change this, then the Web Client will not function, you will have to uninstall the vSphere Web Client and reinstall it with the default destination folder. 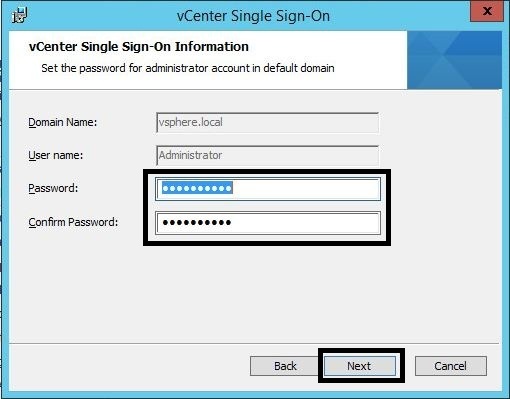 Enter the “administrator@vsphere.local” password and select “Next”. 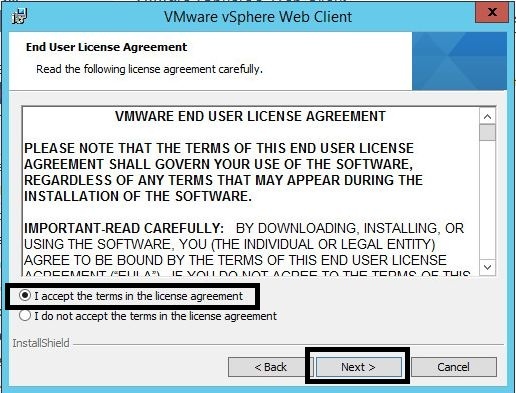 Accept the SSO leaf certification by pressing “Yes”. 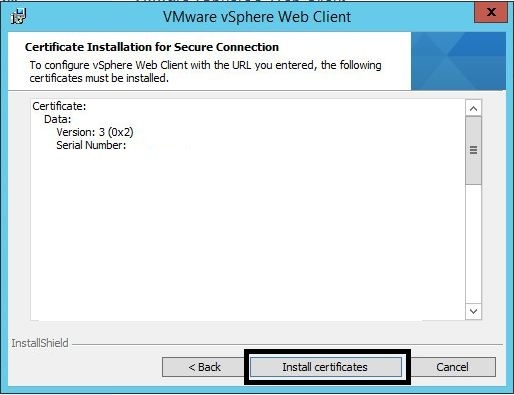 Select the “Install certificates” button. 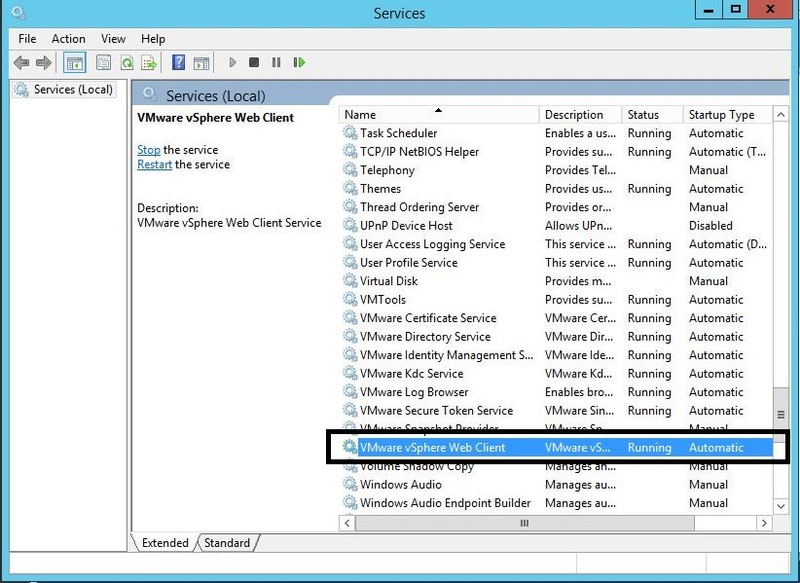 Open the Services application and verify that the VMware “vSphere Web Client” service is installed and running. In the VMware vSphere 5.5 vCenter Installer window, select “vCenter Inventory Service” from the “Custom Install” and press “Install”. Select the “Inventory Size” and press “Next”. 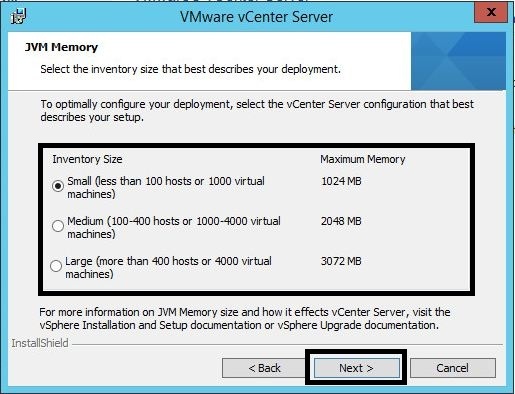 “Small” is used in this case. 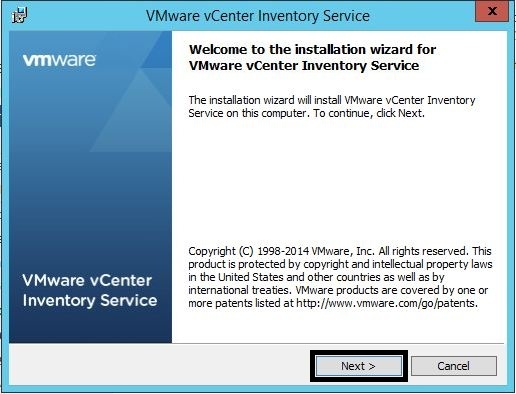 Open the Services application and verify that the VMware “vCenter Inventory” service is installed and running. 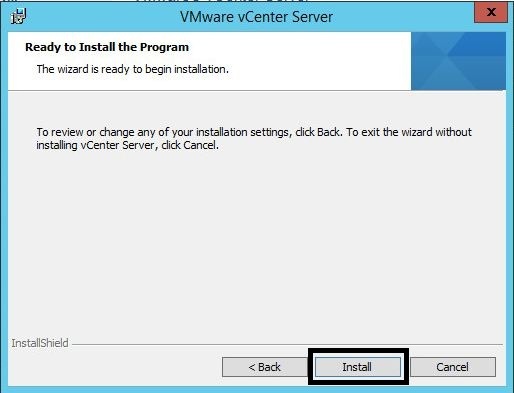 In the VMware vSphere 5.5 vCenter Installer window, select “vCenter Server” from the “Custom Install” and press “Install”. 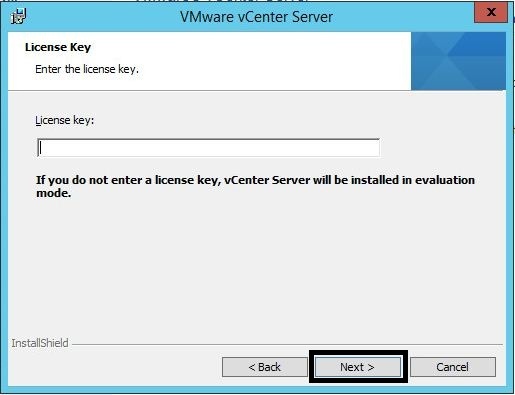 Skip the “Licence key” and press “Next”. 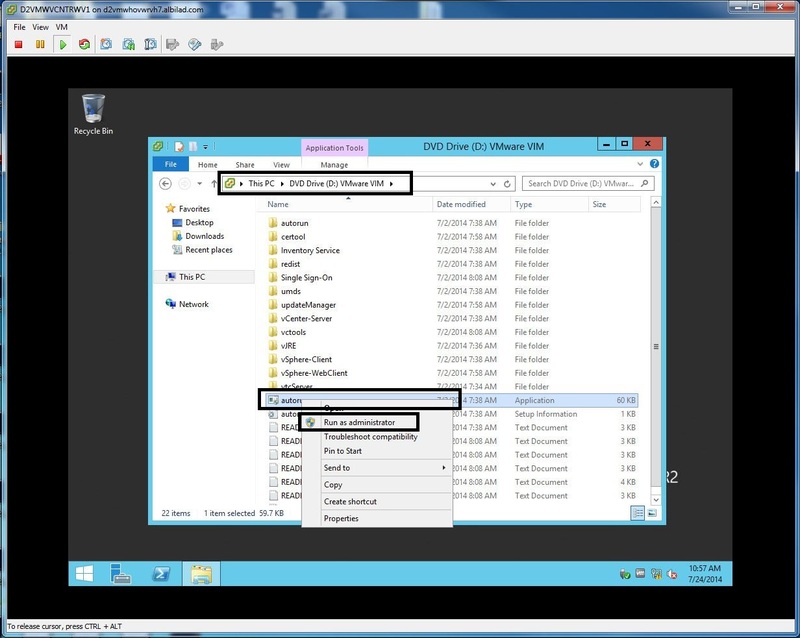 The licence key is already stored in the SQL Server Database. 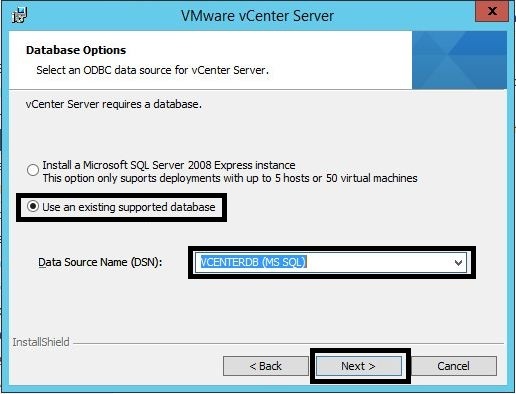 Select “Use an existing supported database” and select “VCENTERDB (MS SQL)” from the DSN list. 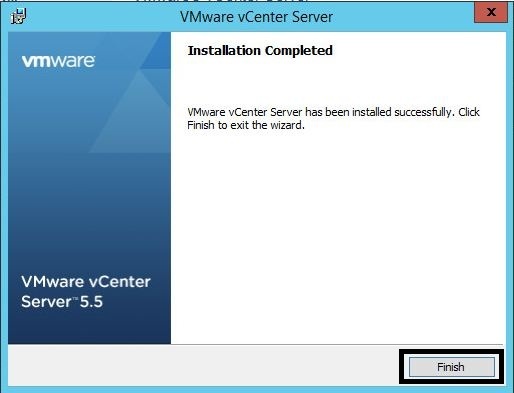 Then press “Next”. 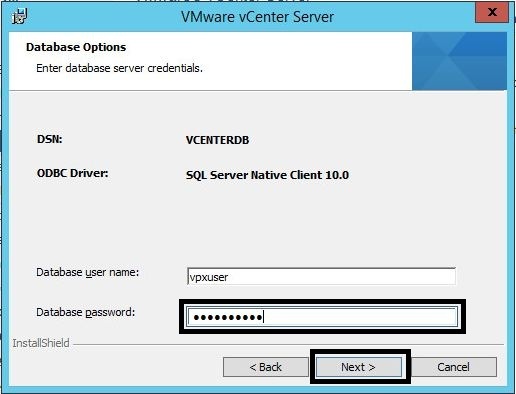 Enter the “vpxuser” “Database password” and press “Next”. 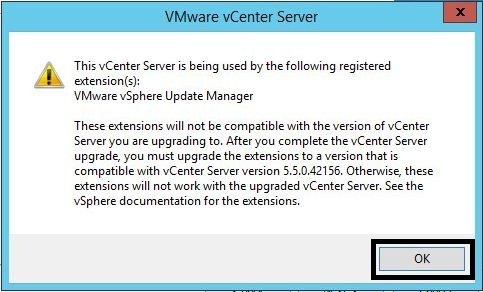 Press “OK” for the VUM “registered extensions” message. 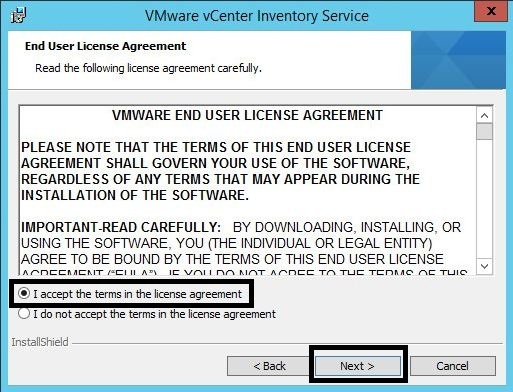 Select “Do not overwrite. 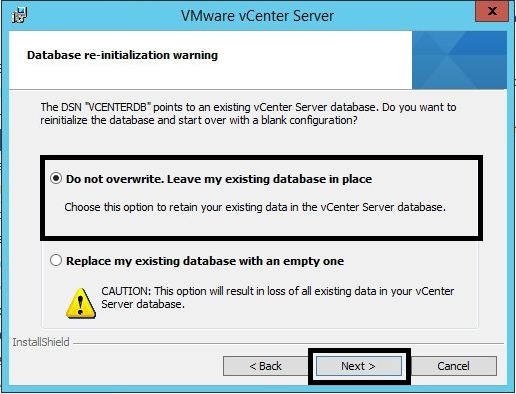 Leave my existing database in place” and press “Next”. 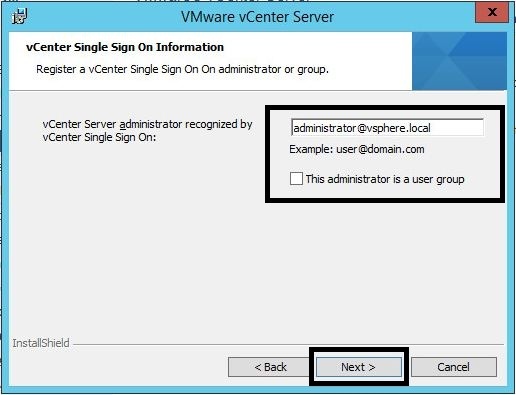 Enter the Active Directory username or group that will be configured as an administrator of vCenter. 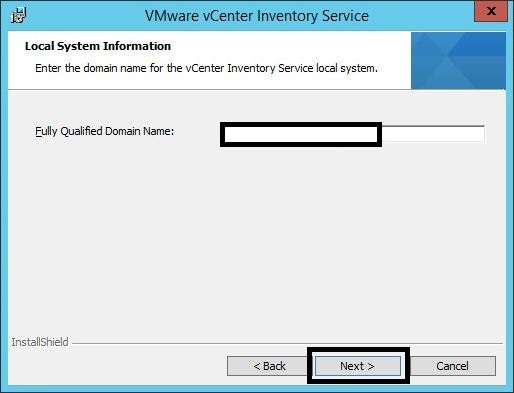 Select “Next”. 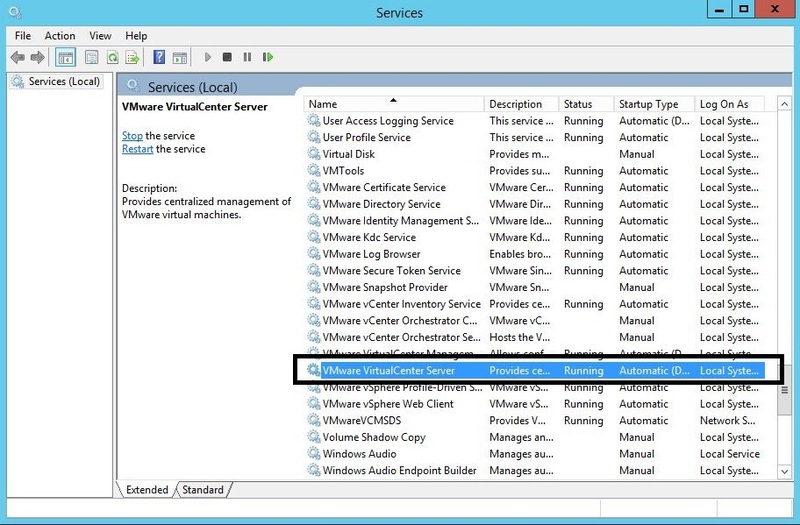 Open the Services application and verify that the VMware “VirtualCenter Server” service is installed and running. In the VMware vSphere 5.5 vCenter Installer window, select “VMware vSphere Client” from the “VMware vCenter Desktop Client” and press “Install”. 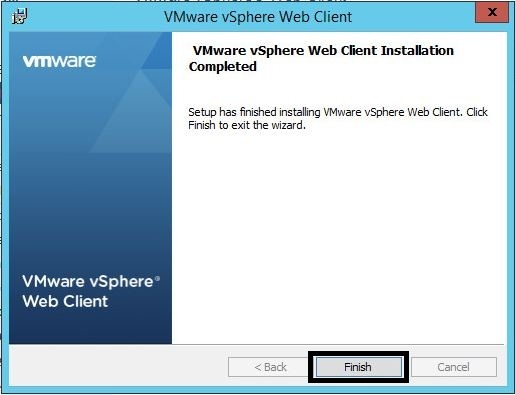 Complete the vSphere Client installation and run the vSphere Client. 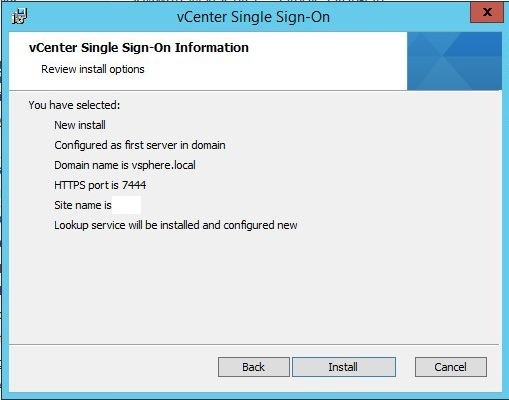 Connect to the vCenter server with the vCenter server 5.5 hostname and login. 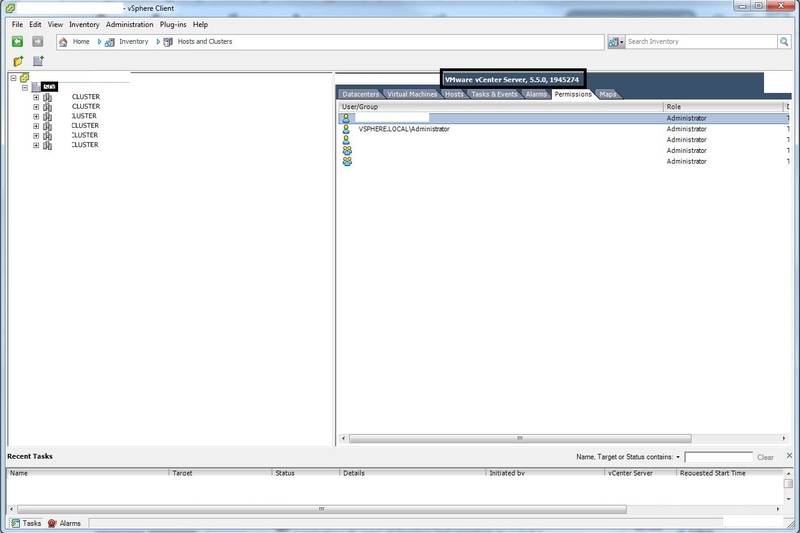 Check that all hosts are connected and that all alarms are accounted for. 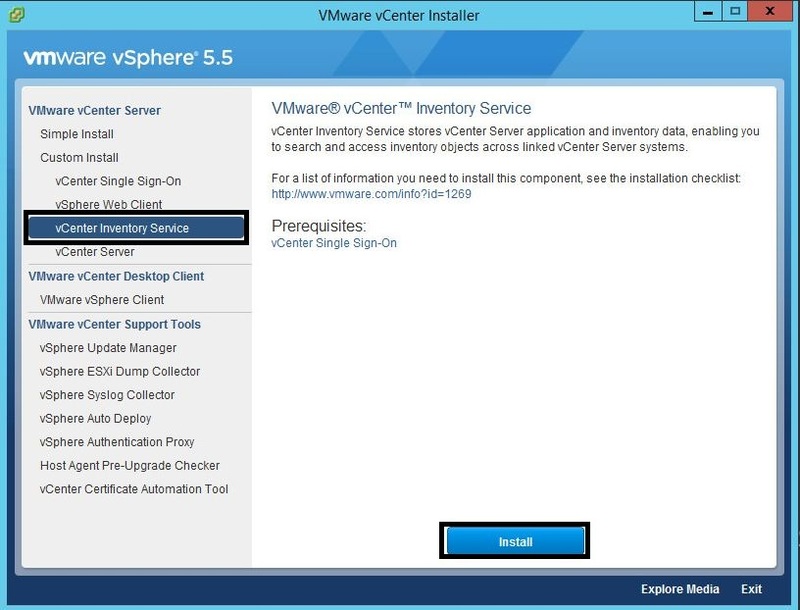 Recreate the original RBAC permissions that were recorded from the vCenter 5.1 server. 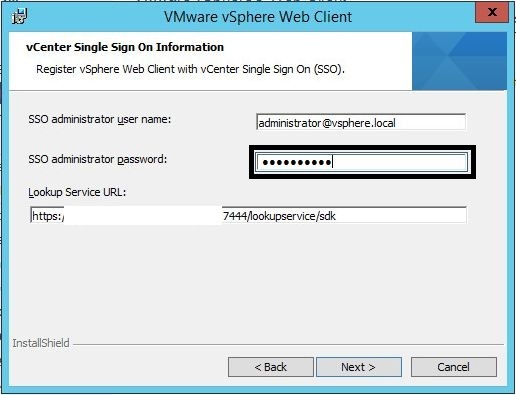 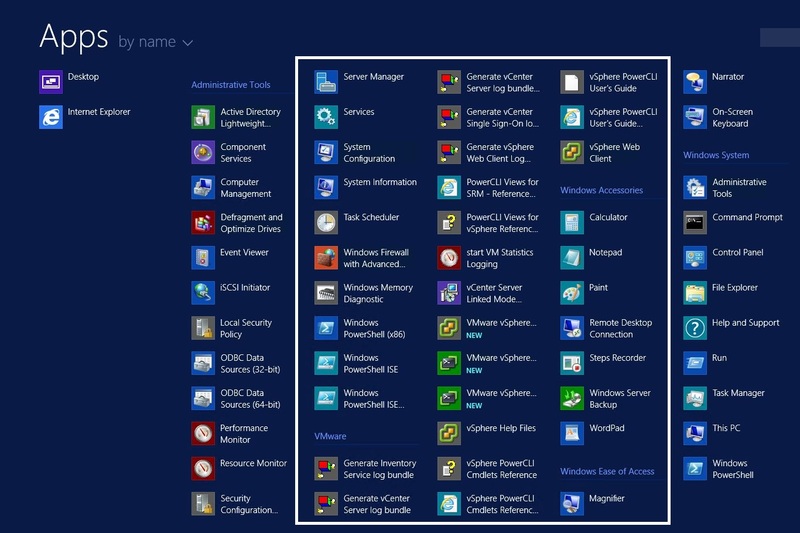 From the Windows Server Start menu, select the vSphere Web Client and login. 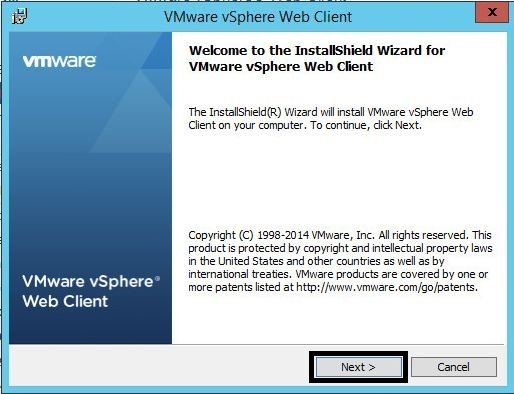 Verify that the vSphere Web Client is functioning correctly. On your Desktop close all consoles and disconnect the vSphere Client from the Management host. 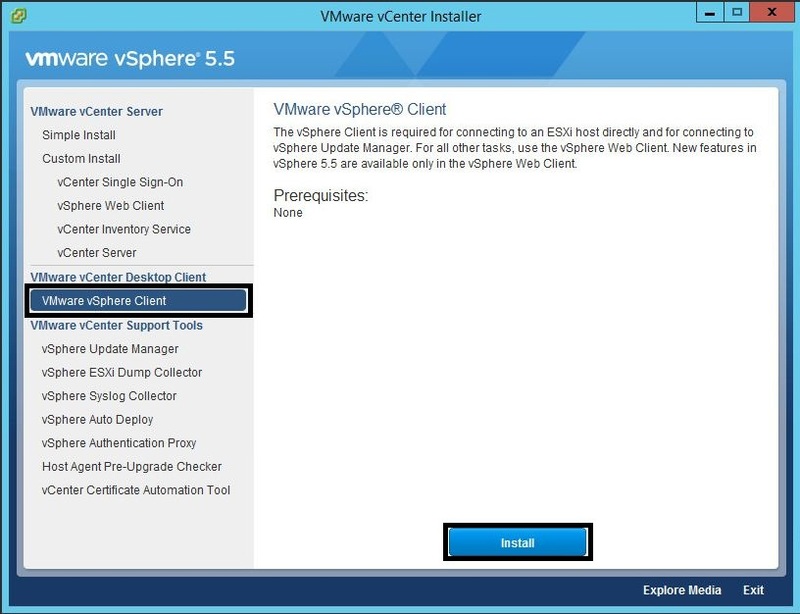 Install the vSphere Client 5.5 on your Desktop and connect to the vCenter server 5.5 and login. 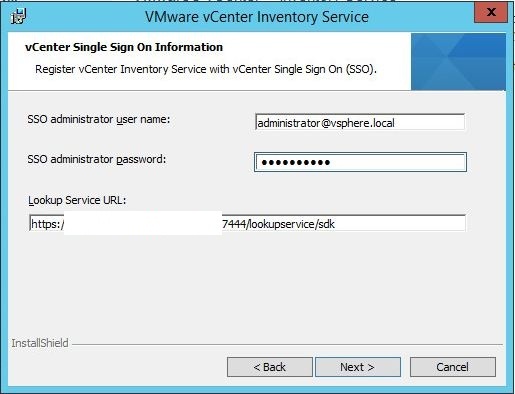 Take a vSphere Snapshot of the vCenter and Database servers. 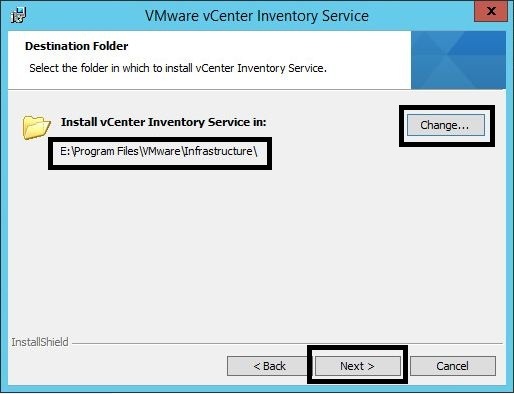 This provides a roll-back if any part of the Cloud Management re-integration process fails. 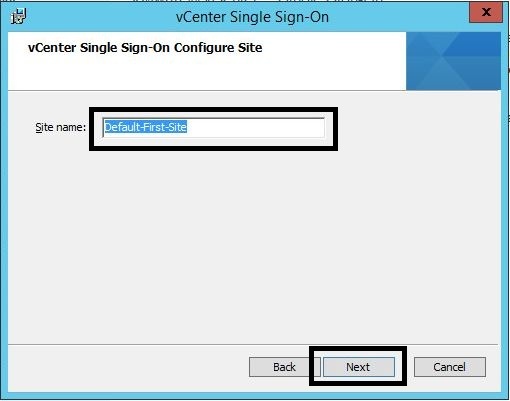 You can now move to Part 4 of the Configuration Guide.